Investing.com — These are the top 5 things to know about in the market on Thursday, April 11. 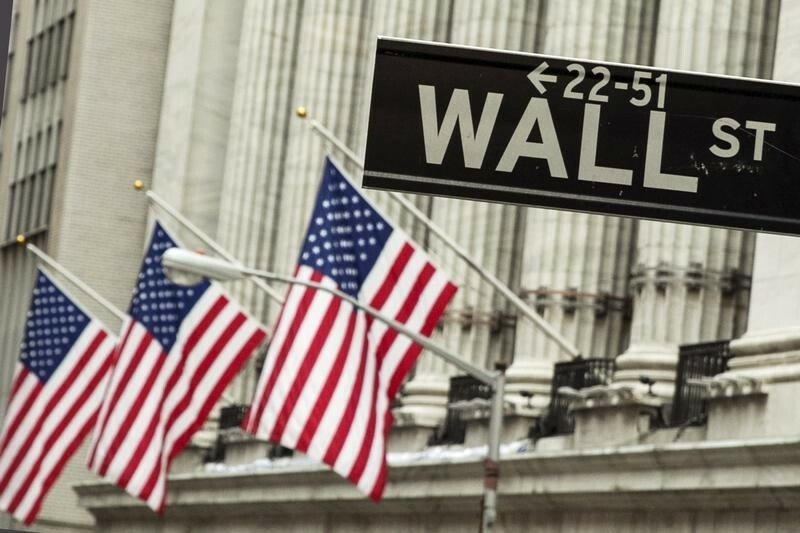 Stocks are struggling to build on Wednesday’s gains, which followed the first explicit mention from the Federal Reserve that its next move on interest rates may be down rather than up. At 05:30 AM ET, the contract was up 1.88 points or 0.1%, the contract was down 13 points, essentially unchanged, while the tech-heavy contract was down 0.25 points, also effectively flat. No fewer than six senior Fed officials are due to speak Thursday, with , and all speaking within 10 minutes of each other, starting at 9:30 AM ET (13:30 GMT). Banking supervision head follows at 11.50 AM ET (15:50 GMT), followed by at 2 PM ET (18:00 GMT) and at 4 PM ET (20:00 GMT). In between all of that, there will also be and March figures at 8:30 AM (12.30 GMT). Uber may publish its IPO filing today, with a view to listing on public exchanges in early May, according to The Wall Street Journal. The ride-hailing company may seek a valuation of between $90 billion and $100 billion, the paper said, referring to documents related to a recent issue of convertible notes. The valuation is over 20% less than mooted last year by bankers vying for the IPO mandate, reflecting concerns about possible over-pricing. The threat of immediate competition for a place in investors’ portfolios appears to be taking its toll on Lyft (NASDAQ:), which fell nearly 11% on Wednesday. European Union leaders did what they do best and kicked the Brexit can six months down the road. At a special summit in Brussels, leaders agreed that the U.K. will now leave on Halloween (seriously), unless the U.K. parliament can approve the already-negotiated Withdrawal Agreement. The U.K. will be out of the EU without a deal on June 1 if it fails to take part in EU parliamentary elections starting on May 23. Reaction to the prospect of another six months of uncertainty has been muted but negative, with both and the U.K. falling slightly. prices are coming off Wednesday’s highs, as concerns about global growth outweigh a warning from the that the global market is tightening. The IEA cited OPEC-led supply cuts and the increasing effectiveness of U.S. sanctions against Iran and Venezuela. The benchmark was unable to hold gains it made immediately after the report and was at $64.08 a barrel by 5:30 AM ET (9:30 GMT), down some 65 cents from the five-month high that it hit on Wednesday. Boeing (NYSE:) has accepted it will have to rely on the goodwill of foreign aviation regulators to get its 737 Max back in the skies. The Wall Street Journal reported that some of its customers had insisted that regulators other than the Federal Aviation Authority also sign off on safety fixes to the airplane’s software that are expected sometime in the summer. Boeing didn’t book a single order for the 737 Max, previously its best-selling model, in March. The company’s shares have fallen some 14% since a fatal crash in Africa a month ago.